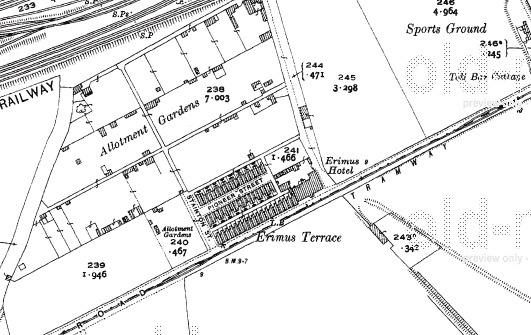 Erimus was an area of three streets (Erimus Terrace, Pioneer Street and Stainton Street) and a hotel that once stood mid-way between Thornaby and Middlesbrough, it was built to house the workers of the Erimus Ironworks. 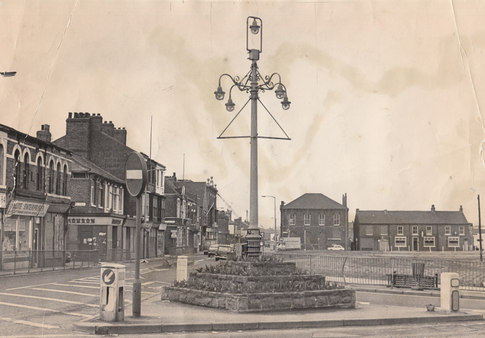 The whole area was demolished in 1963 to make way for developments on the railway and is now near the road junction for Teesside Park on the A66. A war memorial was erected in 1920 at Erimus for the six local men who died in WW1. Private J R Donnison, 2nd Yorkshire Regt. Private J G Wales, 9th Yorkshire Regt. The memorial moved to a chapel in Thornaby in 1959 and was moved to it’s current location in the cemetery in 22/7//2006 where it was unveiled by Mayor Pat Large and Ken Craggs. The old police station at Thornaby is now a business centre. The central part of the building still carries the police station sign. 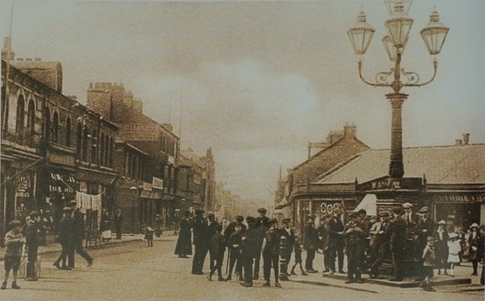 Thornaby On Tees Library was donated to the town in 1892 (the year Thornaby On Tees was formed) by T Wrightson, one of the firm ‘Head Wrightson’ who were based in Thornaby. The large carved plaque above the door records the names of the two contributors. 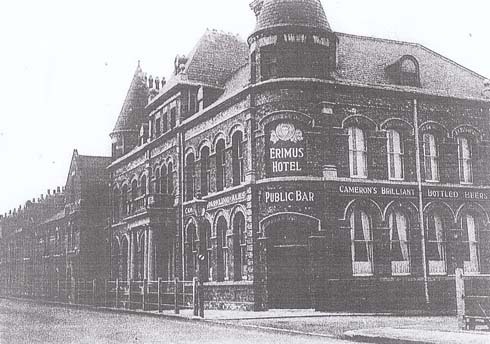 The building now sadly lies stranded inside the ‘Mandale Triangle’ which is very much like the one in Bermuda. These buildings are one of the last remaining fragments of the old center of Thornaby that was mostly removed when the A66 was built. The carved plaque over the doorway is for the ‘Corporation Institute’ the 1890 Bulmers Directory says “A Mechanics’ Institute was erected in 1865, in which are the offices of the Local Board and School Board” so this may be one and the same. Following this link to see a picture of the station in what can be no earlier than 1973, interestingly there still an air-raid siren on top of the building. Thornaby Town Hall now stands isolated in the ‘Mandale Triangle’ cut off from Thornaby by the A66. The foundation stone is very worn but reads that it was laid by John Steel, Chairman of the South Stockton Local Board on October 25th 1890. The architect is James Garry and the contractor W. C. Atkinson. Thornaby-on-Tees was formed by the combination of South Stockton and Thornaby in 1892, Thornaby-on-Tees Borough Council ceased to exist in 1968 when Teesside was formed and the building fell out of use and became vandalised. 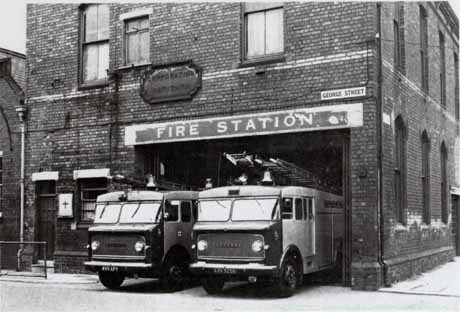 In November 2012 after many years of wrangling the building was sold back to Thornaby Town Council by Stockton Council, they hope to restore it and make it available for commercial and community uses. After seeking permission from the owners of Stainsby Grange I was finally able to get a closer look at a pillbox I must have seen hundreds of times travelling on the A19. The pillbox is in excellent condition and still has a ladder attached that would have given access to the top.